Buy this and your school gets £0.60 to spend on books Orders of £10 or more will earn 25% of your order value back in Scholastic Rewards for your school. Oh joy! It’s a brand new series for those huggable Mr Men. And this time it’s more magical than ever. 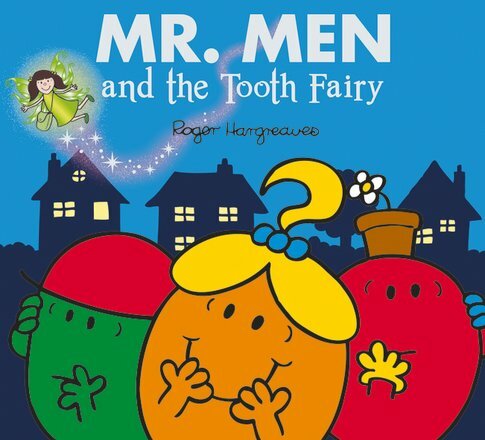 The Mr Men have had a brush with a rather enchanting young lady: Little Miss Magic. Now all sorts of strange and amazing things are happening to them. In this book, Little Miss Curious hears about a child’s tooth being taken by the Tooth Fairy. Of course, this odd story makes her very curious indeed. So she sets out to learn more. But she takes some very wrong turns along the way, thanks to Mr Muddle and Mr Wrong!